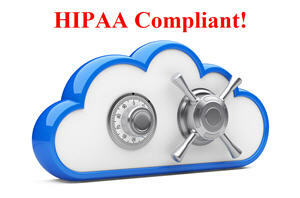 Is Your Online Backup HIPAA Compliant? HIPAA compliant online backup and cloud storage is a big deal. Very few businesses can afford the fines, penalties, legal costs, and business interruption if they get caught storing data in non-compliant format. IDrive is our #1 preferred online backup vendor for a reason. Not only can you have simplified private key encryption (READ THIS FIRST! ), but IDrive is ready and willing to provide you with the necessary Business Associate Agreement that you had better have on file should you get asked to produce it. God only knows how some cloud backup providers will pass the buck, ignore your request or finally fess up to the fact that they really are NOT HIPAA compliant and you should have chosen someone like IDrive instead! HIPAA regulations are making headlines as businesses ensure they meet the new requirements that took effect on September 23, 2013, and IDrive has a clean bill of health. IDrive Online Backup has been preparing for the implementation of these new HIPAA business associate regulations and has already taken the necessary steps to assist current and future users with setting up business associate agreements. When businesses needing agreements create their accounts, they should contact [email protected] and include their username, legal company name, and address to begin the process. IDrive is one of the few top tier cloud vendors offering true private key encryption, where data becomes totally inaccessible to unauthorized users not in possession of that private key. Even if IDrive as your storage provider is forced to hand over data to officials, that data is useless without the private key to decrypt the data. IDrive requires all users who fall under HIPAA compliance to utilize a private key to ensure the full protection of their data. READ THIS before signing up for IDrive if you intend to use a Private Key. Moreover, IDrive still offers private key encryption users complete, anywhere access to their data, whereas other providers are unable to provide anywhere access for private key accounts such as those containing HIPAA regulated data. Hopefully you know the value of “getting it right the first time”. Fortunately, with IDrive you are not paying through the nose to “get it right”. Your data is secure with IDrive, even more so with a private key account, yet it is one of the most affordable business online backup solutions. IDrive is an extremely secure online backup and storage service that uses 256-bit AES encryption. It has passed Standard Occupational Classifications (SOC) audits to ensure that adequate safeguards are implemented to ensure the best security and data protection. Filed under IDrive and tagged HIPAA Compliant.